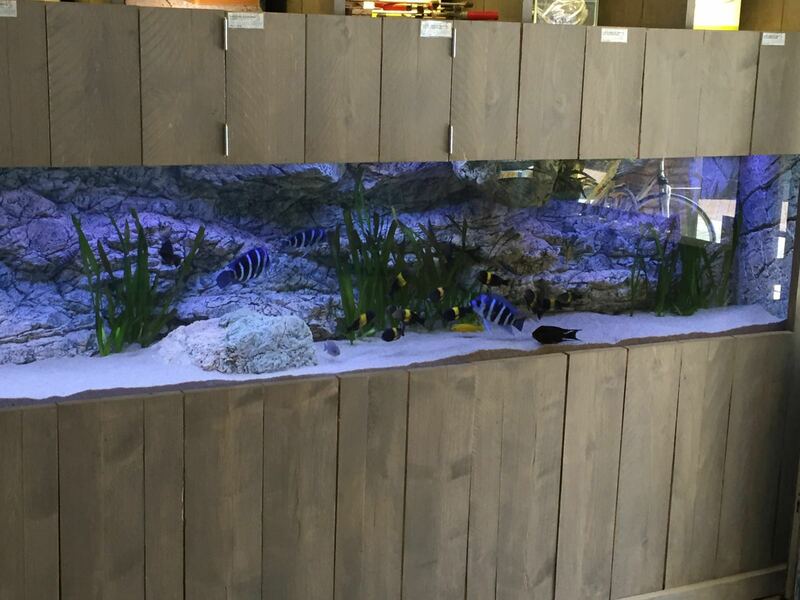 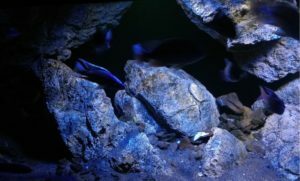 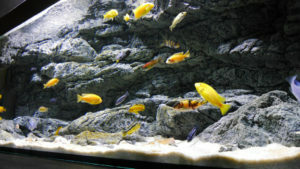 ARSTONE Alimar Basalt Gneiss aquarium background 250×80 cm with the Module Rocks in the tank. 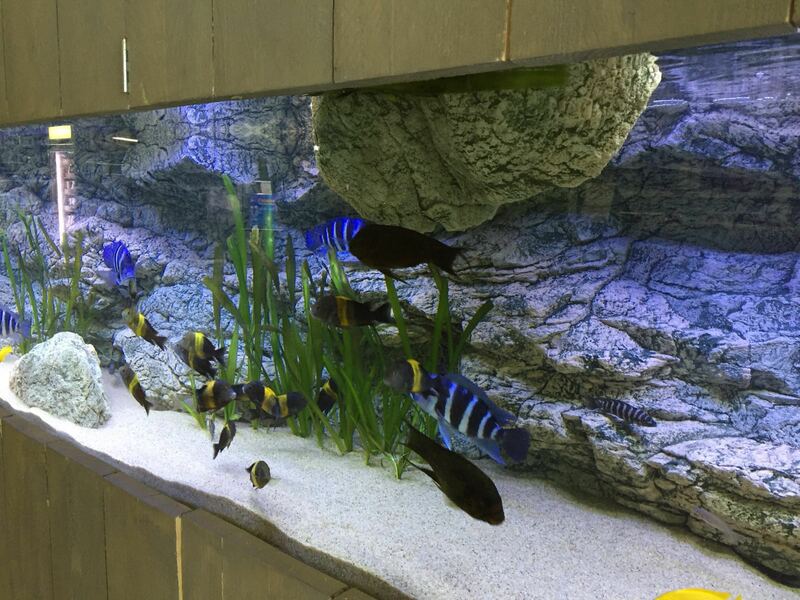 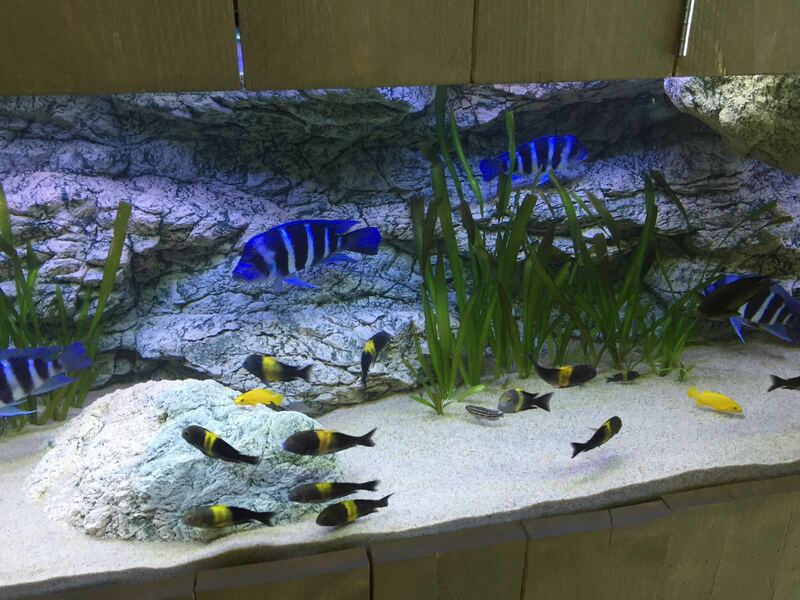 In this Tanganyika aquarium blue and white was used combined with the RGB LEDs. 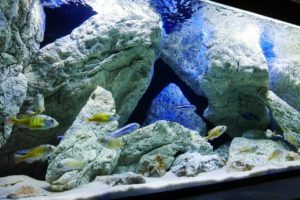 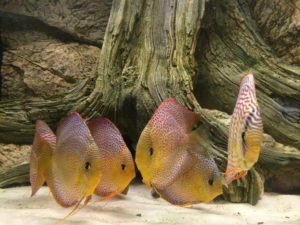 This combination is best for Tanganyika biotope. 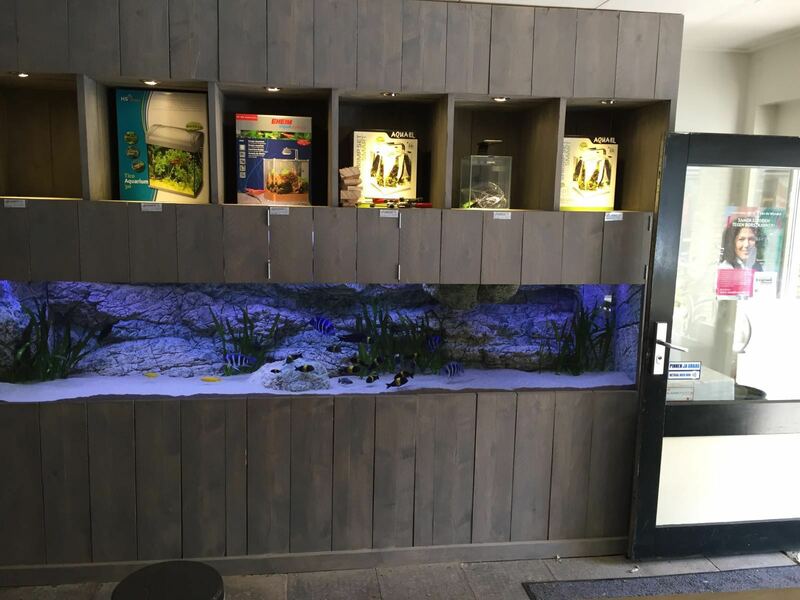 Photo by HVP AQUA, Holland.